Demetrius was thirteen when his spinal cord was injured and his legs were paralyzed in a tragic accident. He spent eighteen months in the hospital, and from there, was placed in the foster care system. With much determination and the support of a loving foster mother, he became the first of his six siblings to graduate from high school. Soon after graduation, however, his foster mother died of cancer. He knew finding employment was imperative for self-reliance and achieving his goals. As Demetrius searched for a job, however, he experienced a sobering reality: When you use a wheelchair, many doors close, and countless others never open. His lack of work experience, coupled with his disability, made finding an employer willing to give him a chance seem impossible. 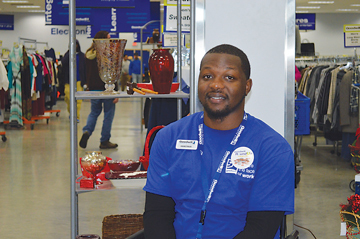 When Demetrius needed help breaking into the work world, he turned to Goodwill and its Work Adjustment Training (WAT) program for individuals with disabilities. In the WAT program, Demetrius worked with an employment specialist to get on-the-job training and pre-employment experience in one of Goodwill’s retail stores. His determination and strong work ethic showed, and the specialist recommended him for employment. Demetrius, now twenty-six, is successfully employed as a retail associate at Goodwill. He is also a deacon at his church, where he often uses his own money to buy food and supplies for people in need. Goodwill of Central and Coastal Virginia, a non-profit organization, has served individuals with challenges to employment like Demetrius since 1923. Through its retail thrift stores, government contracts, temporary staffing agency, and other social enterprises, Andrea Butler, director of philanthropic advancement, says Goodwill earns revenue and provides services to empower individuals to help them reach their highest levels of self-sufficiency. “In addition to helping employers find their future workforce,” says Butler, “Goodwill also offers temporary staffing, janitorial services, e-recycling resources, and document destruction for hundreds of area businesses every year,” says Butler. Goodwill operates thirty-four stores – including two outlets where goods are sold by the pound – throughout Central and Coastal Virginia. In 2016, Goodwill of Central and Coastal Virginia processed 50 millon pounds of goods, and kept more than 37 millon pounds from reaching area landfills. 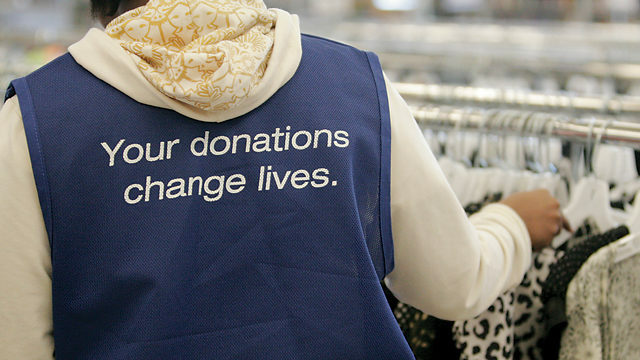 Goodwill serves nearly 20,000 individuals annually. It operates five Community Employment Centers to help anyone with challenges, including those with physical or intellectual disabilities and disenfranchised individuals who lack access to education, skills, and work experience. Demetrius can attest to the impact Goodwill has on the lives of Virginiains. Next articleConsidering a Door Do-Over?